DBT is a different specialty shop where the old unexpectedly meets the new! __ We invite you to browse our 4000 square feet of vintage furniture, collectibles, glassware, china and originals by local artisans. We feature exclusive creations of jewelry, pottery, quilts & hangings, soy candles, bird sculptures, gourd artistry, folk art, paintings in watercolor, oil and acrylic - plus international art showcasing photography from Europe, carvings from Africa, and more! Gently used home furnishings add to our unique blend of retro and modern, all carefully chosen by our 21 vendors. _We seem a world away - yet we are only 10 minutes from Chapel Hill, Durham and Mebane. 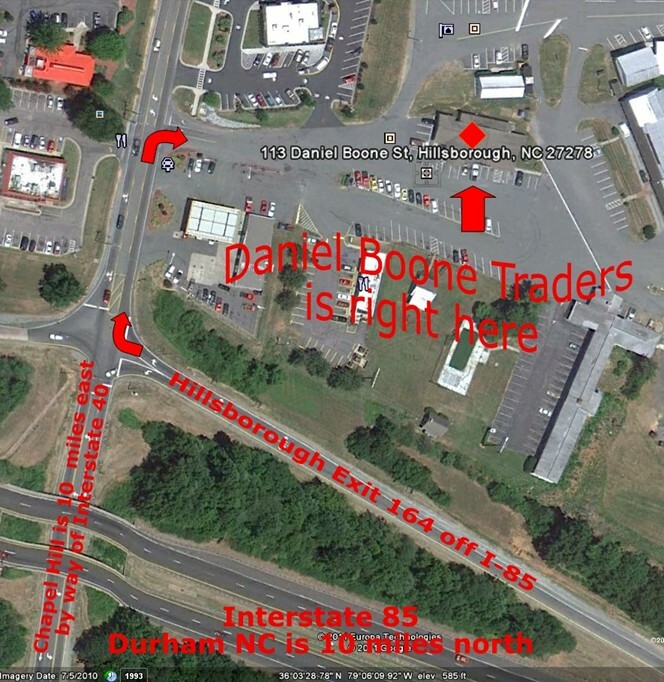 _Come see us at 113 Daniel Boone Street in Daniel Boone Village in Hillsborough.